Image Comics Publisher Eric Stephenson was honored with the 2014 ComicsPRO Industry Appreciation award this past Friday at the annual Comics Professional Organization convention. ComicsPRO is the only trade organization for direct-market comic book retailers. After being nominated three years in a row, this is Stephenson’s first win. He received the award shortly after giving an address on the importance of the Direct Market and retailers’ involvement in the ever-changing comics industry. 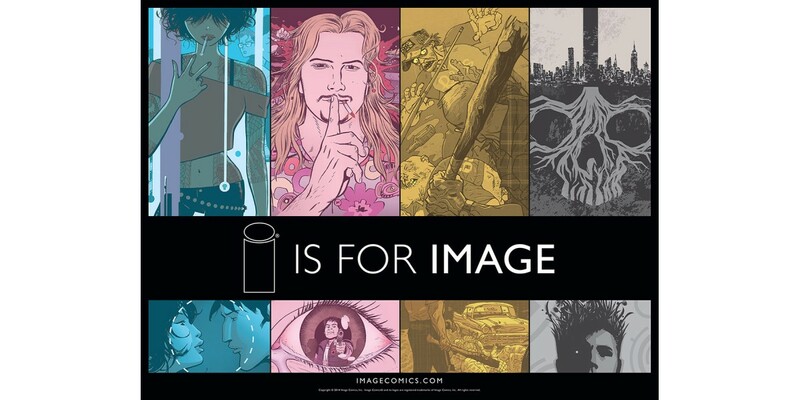 "I also think that even though it's my name on the award, it's actually more of a testament to how far Image has come over the last few years, and that couldn't have happened without the hard work and dedication of all the talented men and women at Image Comics,” continued Stephenson. “Jessica Ambriz, Emilio Bautista, Branwyn Bigglestone, David Brothers, Jonathan Chan, Jennifer de Guzman, Addison Duke, Monica Garcia, Drew Gill, Emily Miller, Patricia Ramos, Ron Richards, Kat Salazar, Jenna Savage, Tyler Shainline, Jeremy Sullivan, and Meredith Wallace don't get enough credit for the incredible support they provide to all the creators Image works with, but I absolutely would not be able to do what I do without them." The award nominations are submitted by ComicsPRO members, narrowed down by the organization’s Board of Directors, and voted upon by members of ComicsPRO. The award was created to honor individuals who have shown particular support of the Direct Market in the comic industry. Comics Professional Retail Organization (ComicsPRO) is the only trade organization for direct-market comic book retailers. ComicsPRO's goals are to promote advocacy, education, and opportunity for their members. Joining ComicsPRO makes members part of a group facing—and overcoming—many of the same challenges. ComicsPRO allows members, as a small business, to receive benefits that are often only available to much larger groups, including discounted credit card rates and deals on health insurance. But the most important goal of ComicsPRO is to provide a voice for the often overlooked concerns of direct-market retailers.